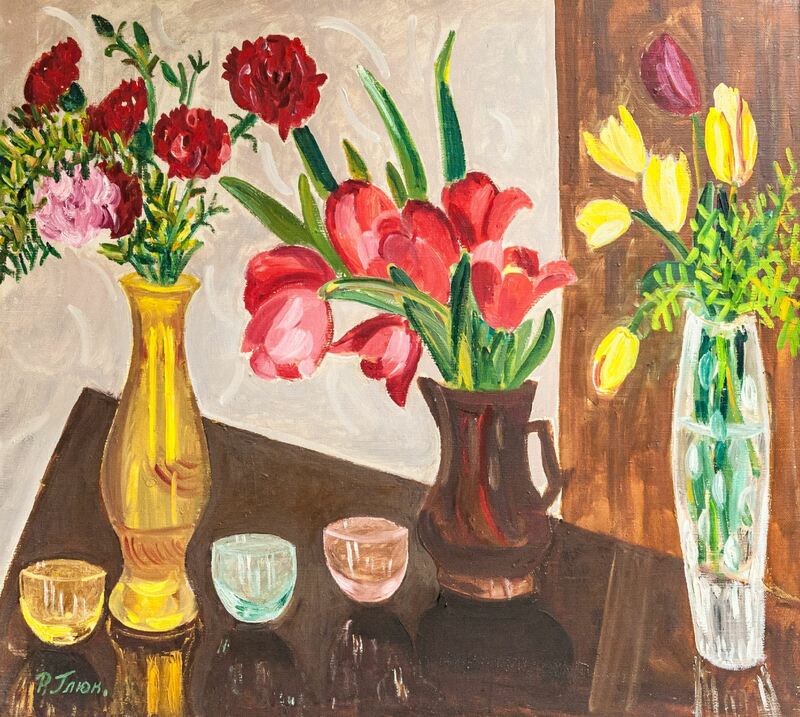 On 6 March 2018, in the exhibition hall of the Transcarpathian Museum of Folk Architecture and Life in Uzhhorod, it was opened a personal exhibition of Raisa Gluck – the wife of one of the most outstanding representatives of the Transcarpathian painting of the 20th century. The exposition is represented by the artist's paintings. 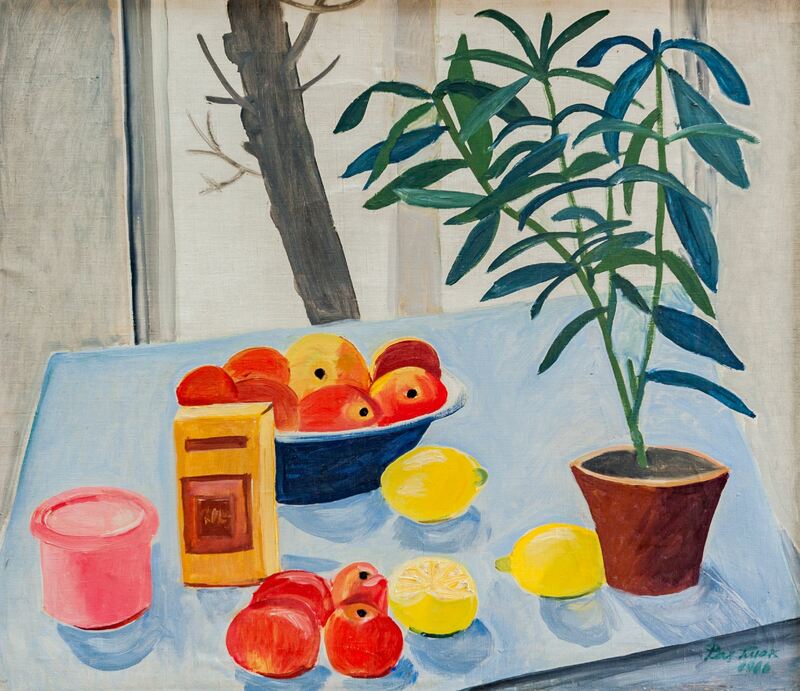 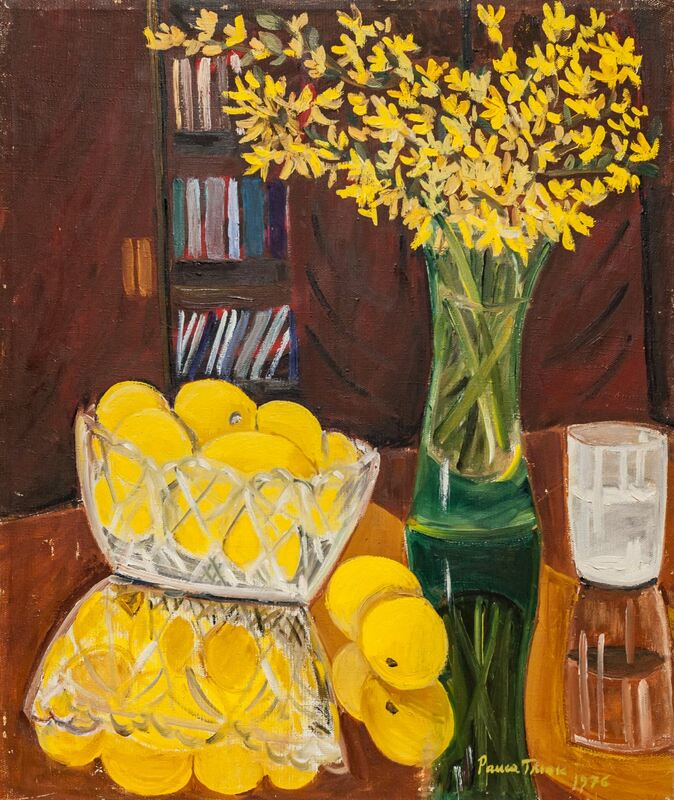 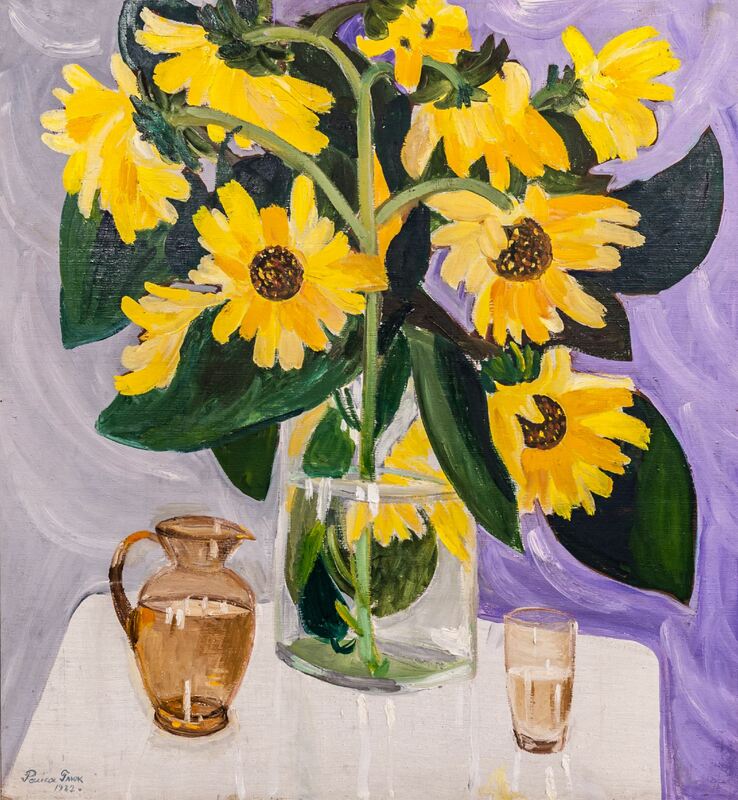 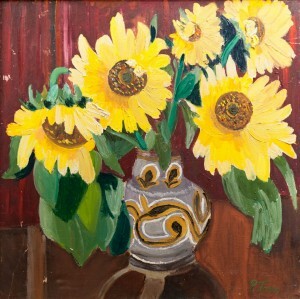 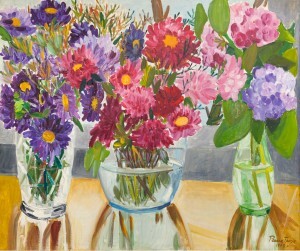 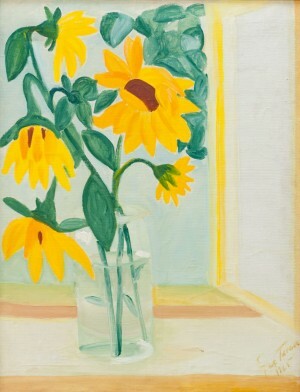 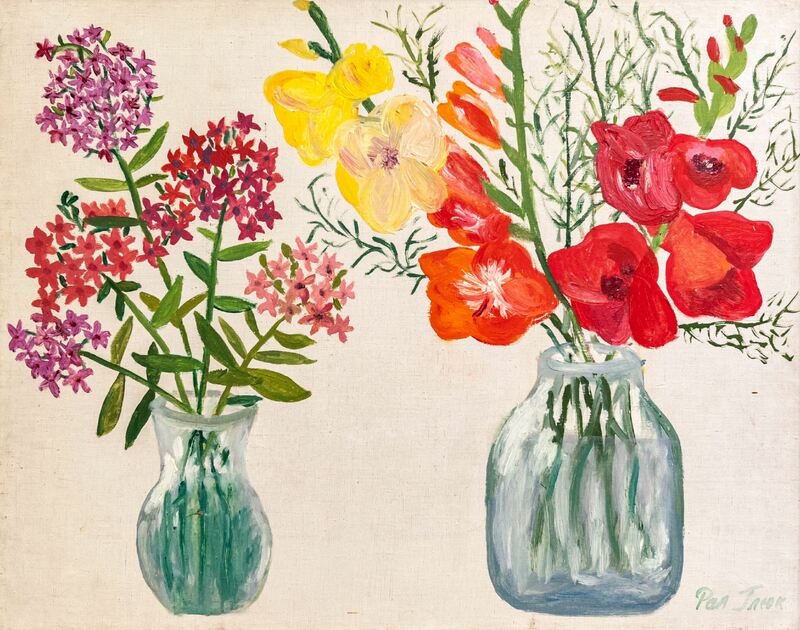 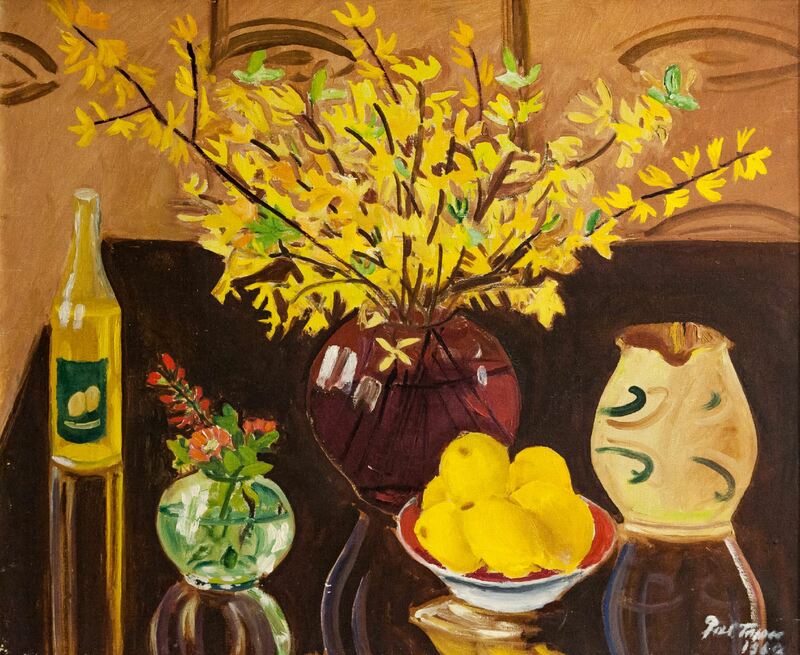 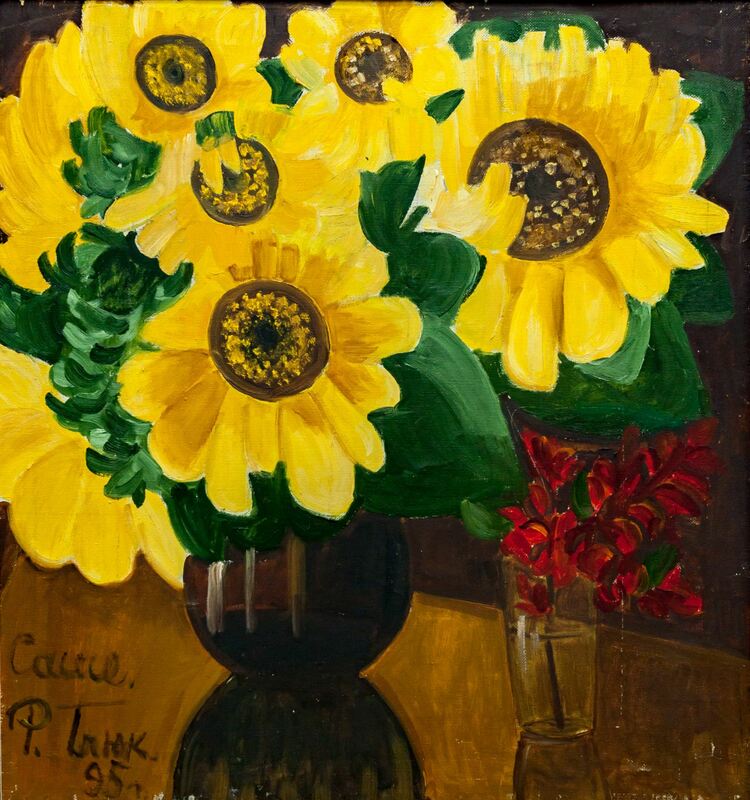 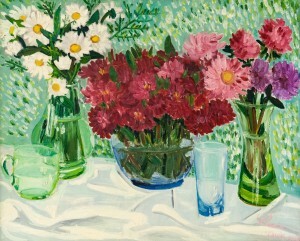 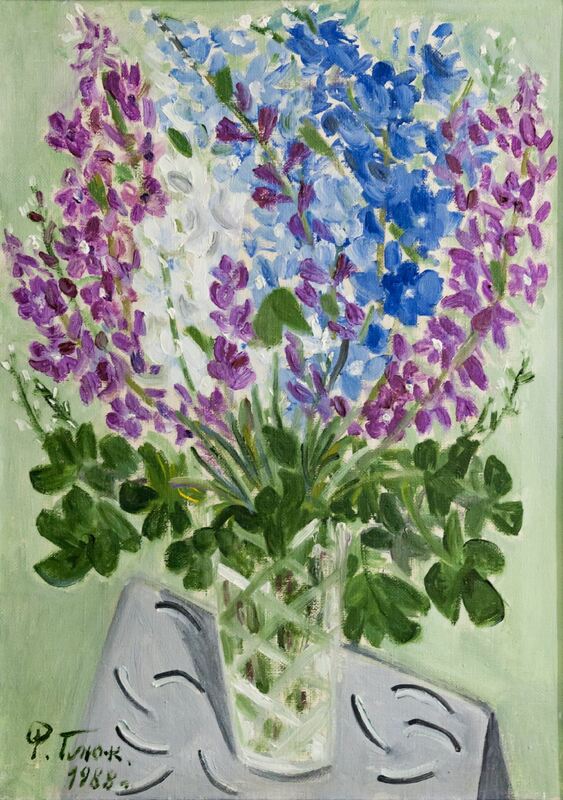 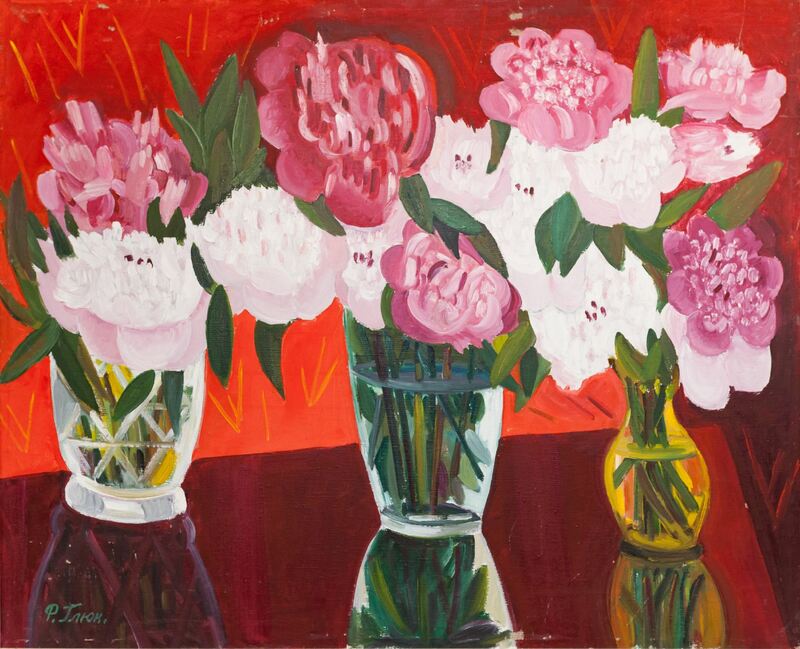 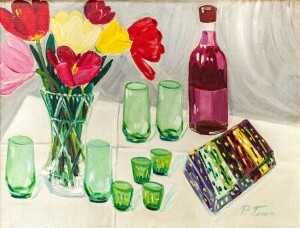 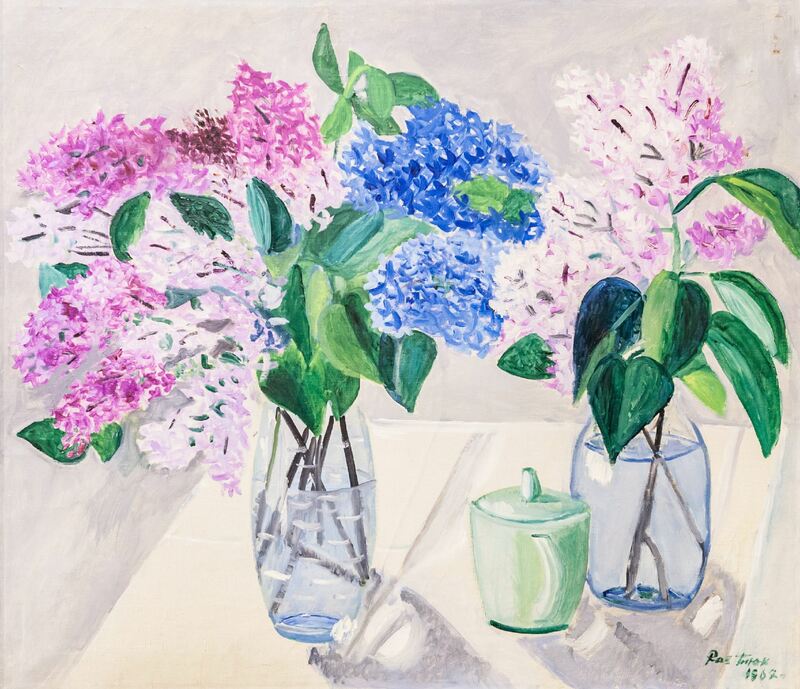 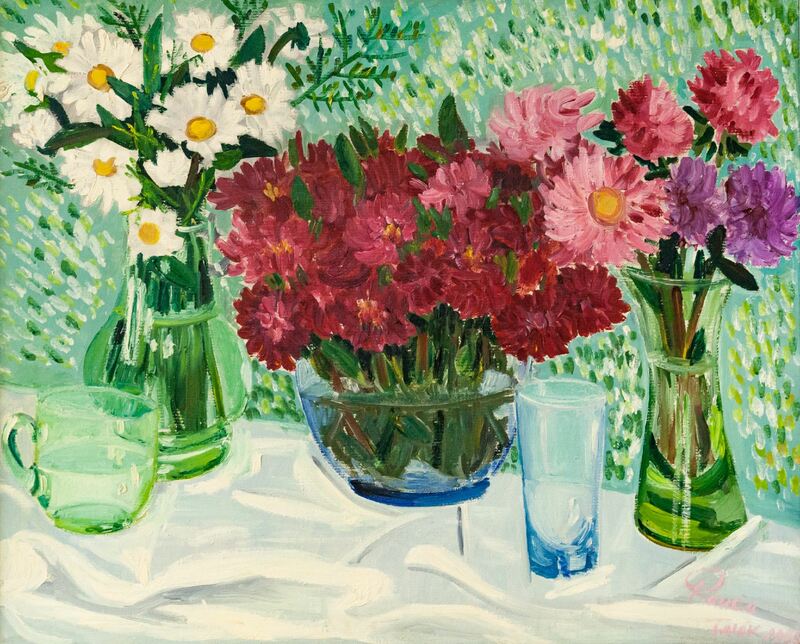 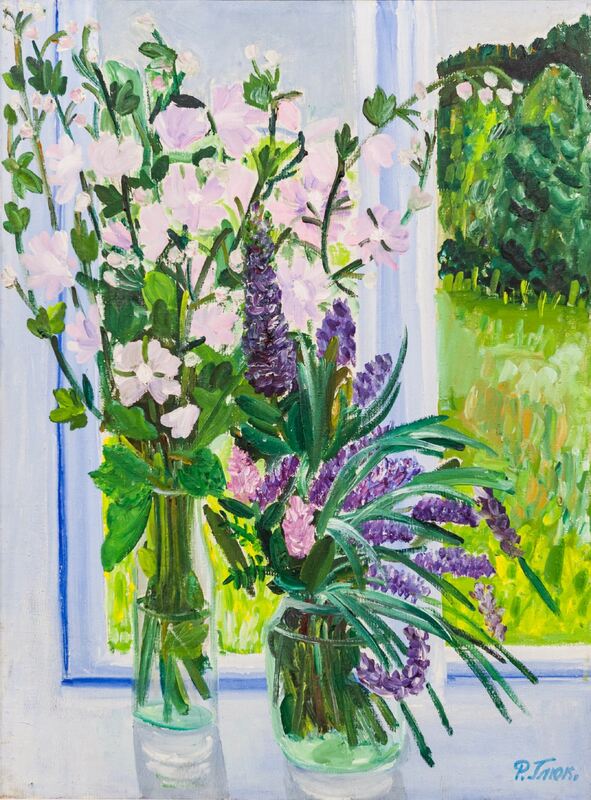 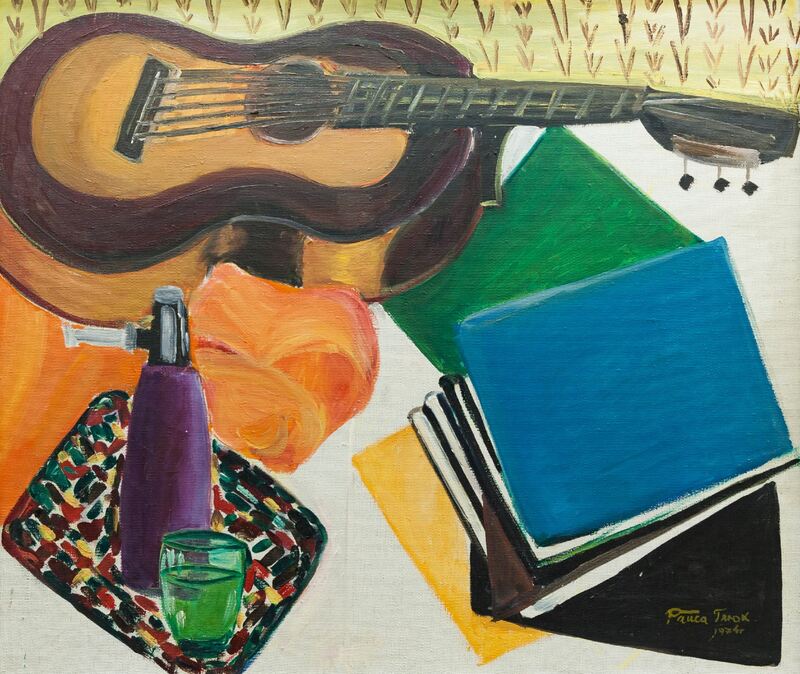 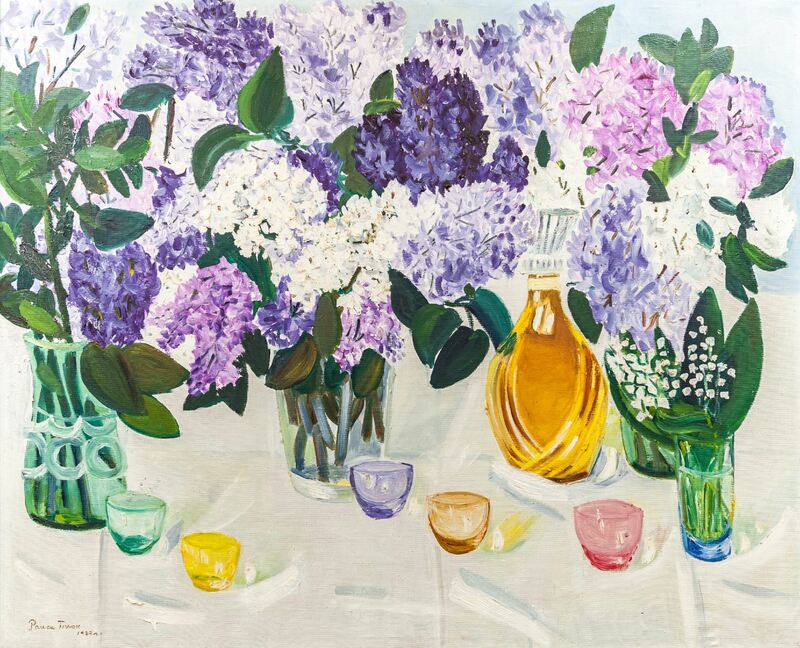 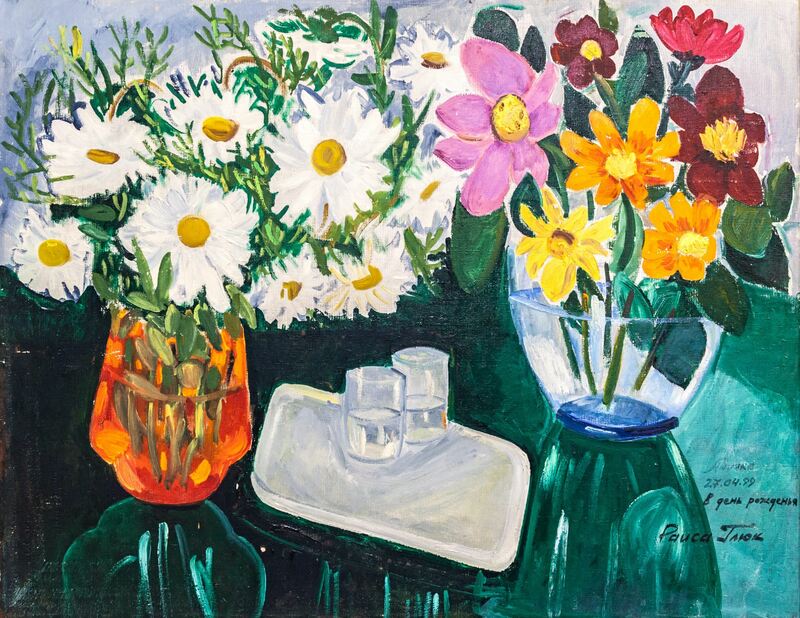 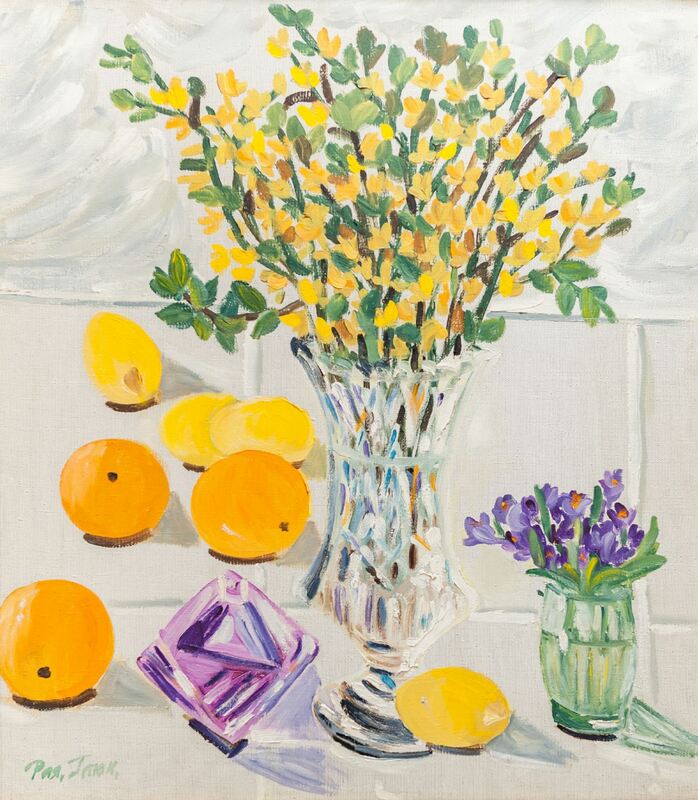 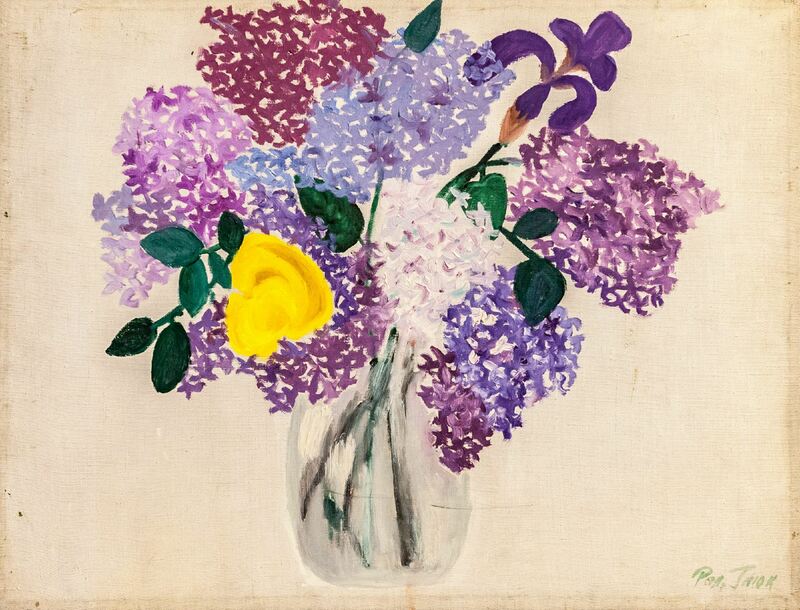 Raisa Gluck did not receive art education and started painting rather late – somewhere at the age of 50. 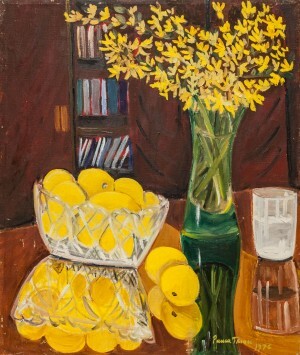 As the artist’s grandson Oleksandr Aleksandrov told, the decision to paint came to her spontaneously. 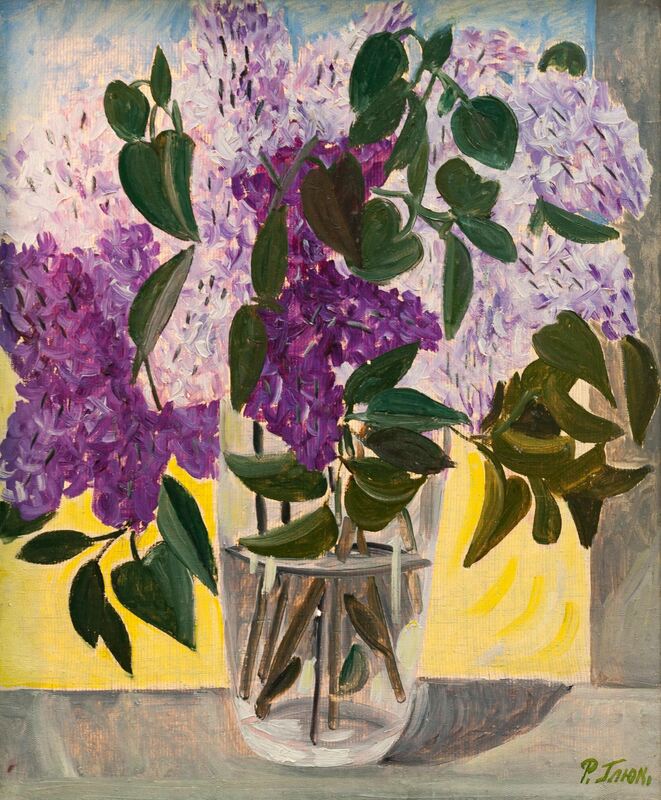 Meeting with numerous artists and, of course, the lessons from her husband, Gabriel Gluck, who was the main critic, mentor and the source of inspiration for her, also played a great role. 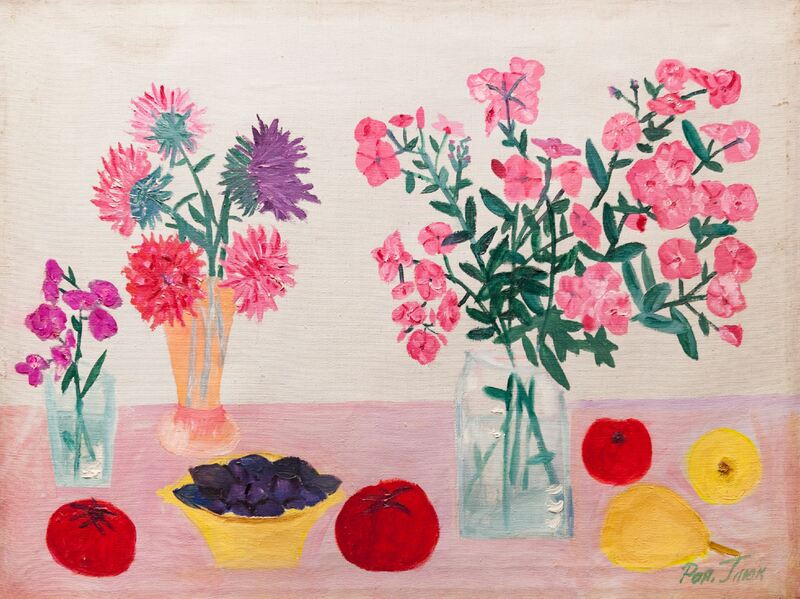 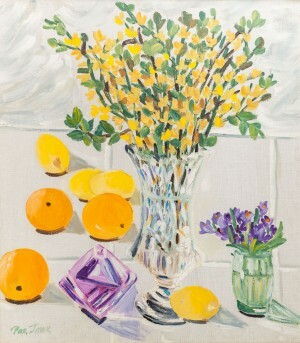 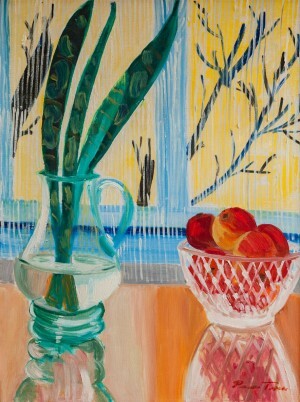 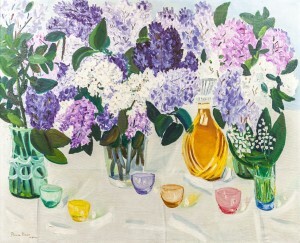 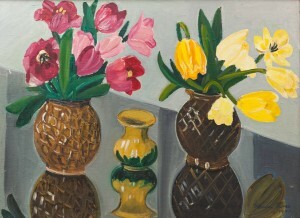 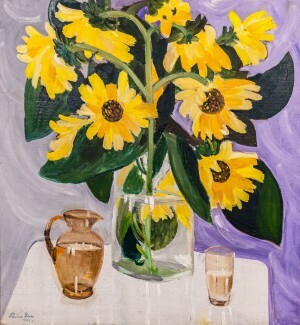 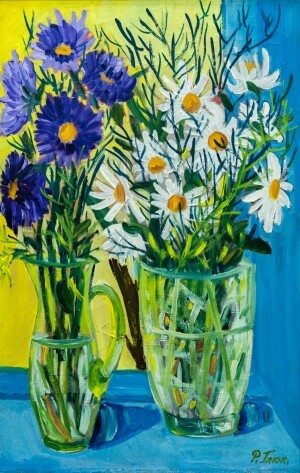 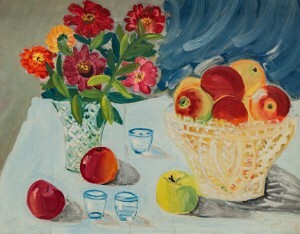 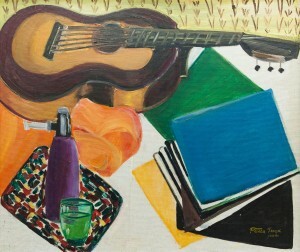 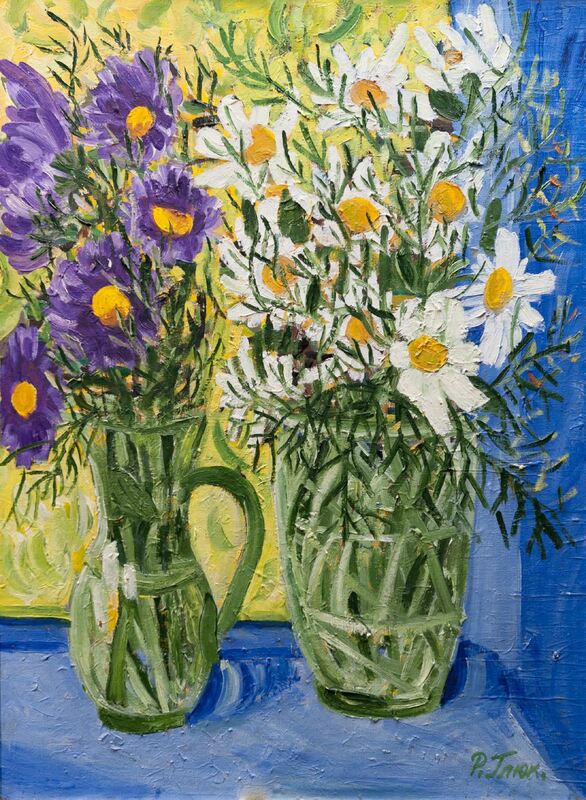 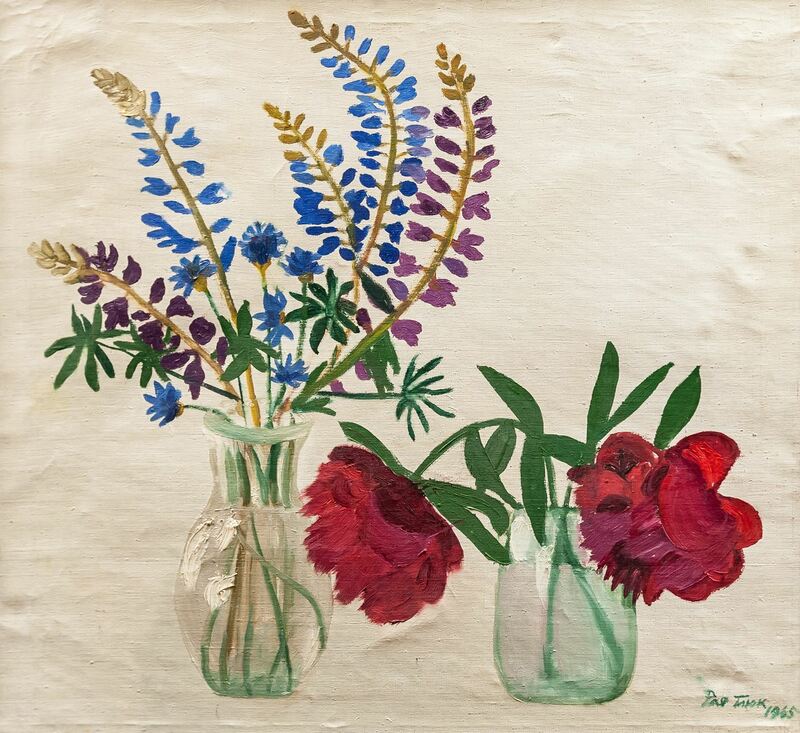 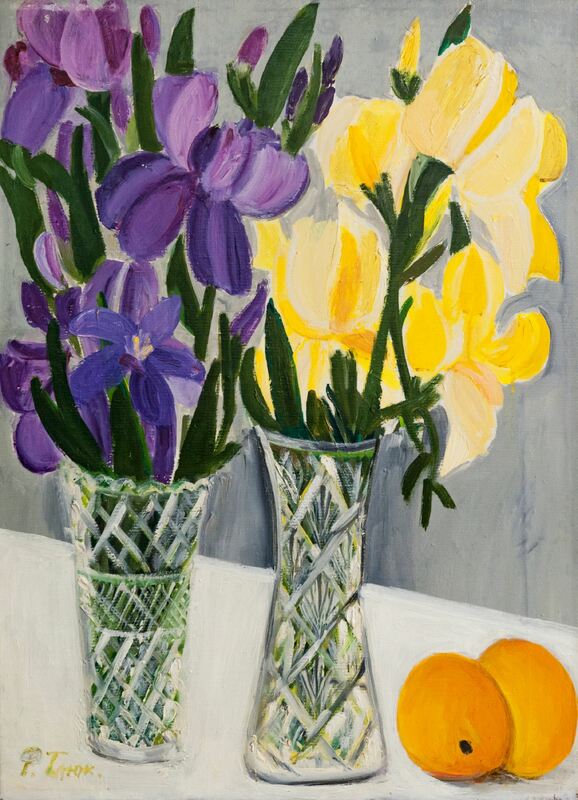 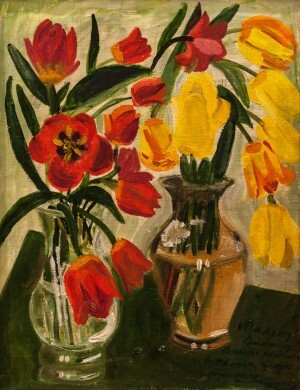 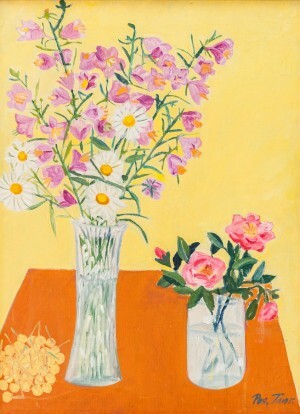 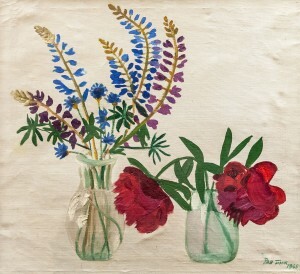 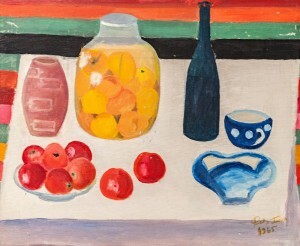 She painted mostly still lifes, which are by the way presented at the exhibition. 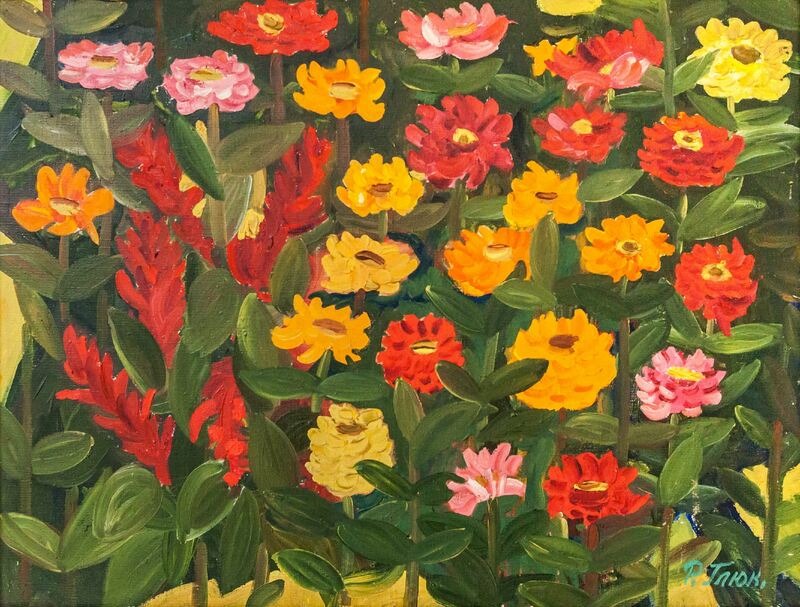 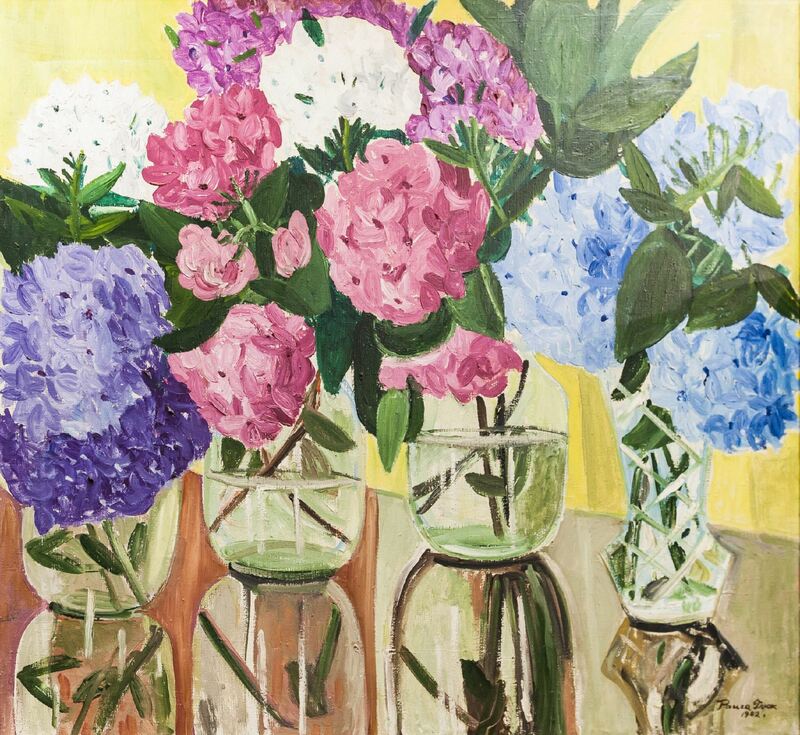 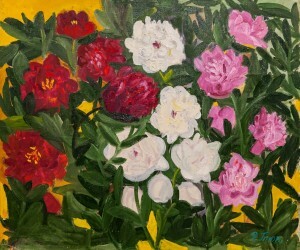 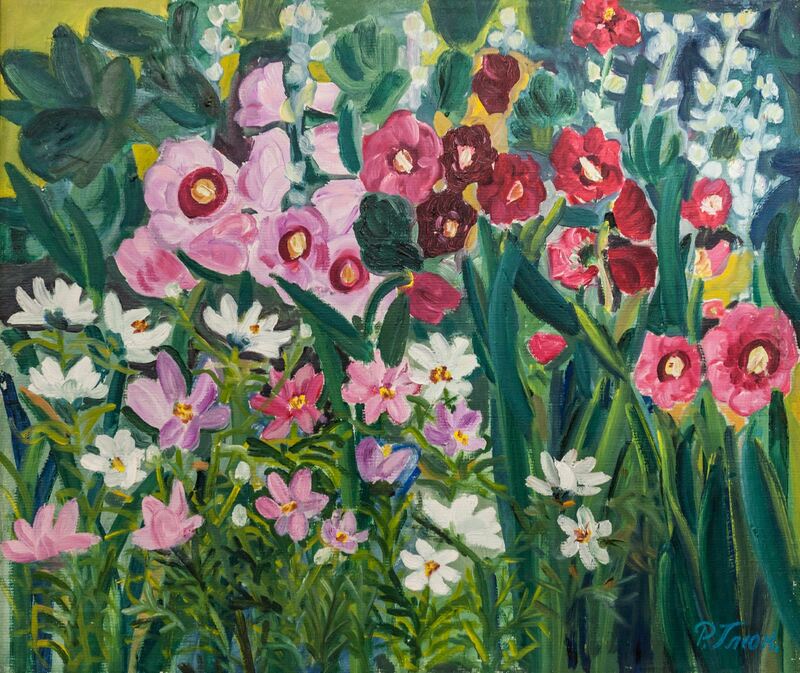 Hydrangeas, dahlias, sunflowers, peonies, gladioli appear on the canvas of the artist demonstrating her love for floral paradise on the Earth. 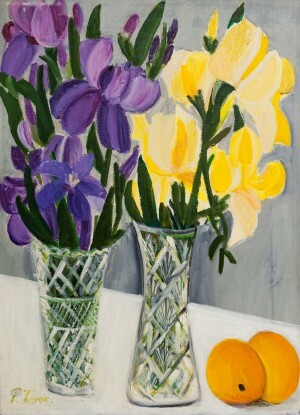 Bright colours, tones and halftones convey the sensation, mood of the artist. As a result, the paintings turn out to be emotional, extremely tender. 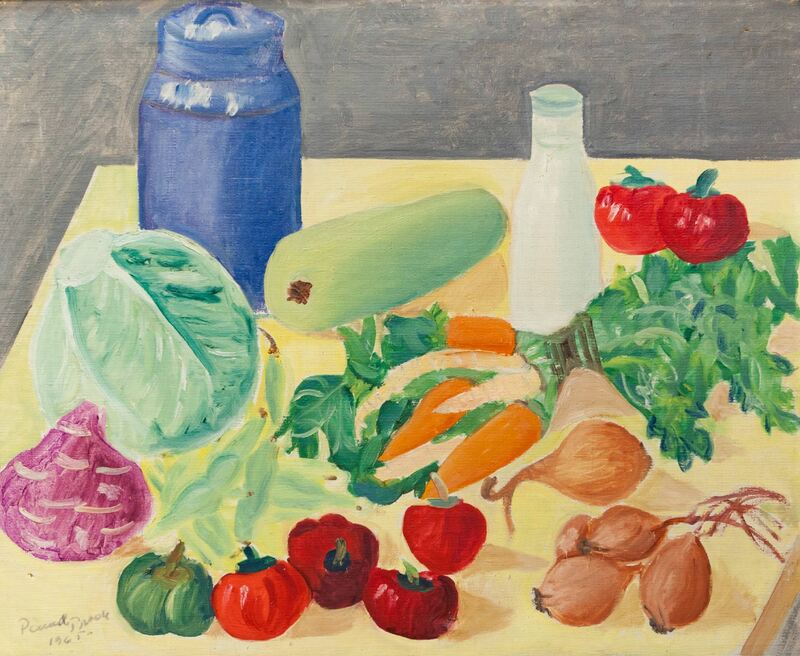 She often depicted household things, fruits and vegetables, her creativity is a clear indication that the artist wanted to see beauty in the usual everyday things. 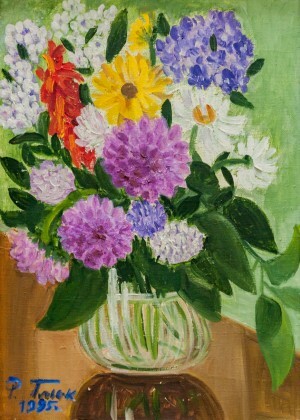 In general, the artist's paintings, as noted by art critics, are full of warmth and femininity. 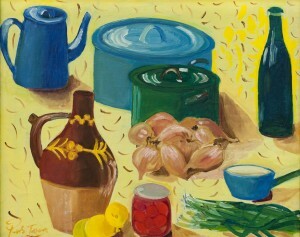 All the works represented at the exhibition are made with oil on canvas. In general, the family of the artist presented about forty of her works. 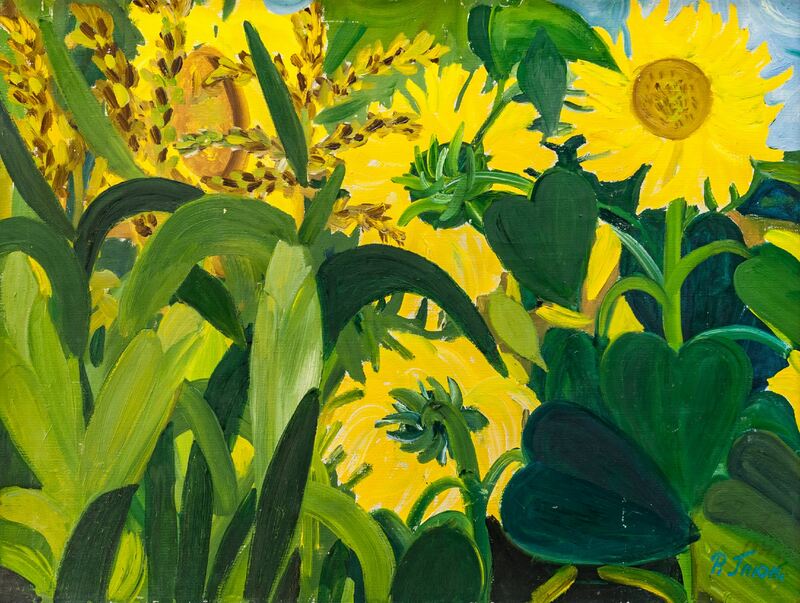 These are paintings of different creativity periods –the early tries of 1965 and the canvases executed in the last years of Raisa Gluck’s life. 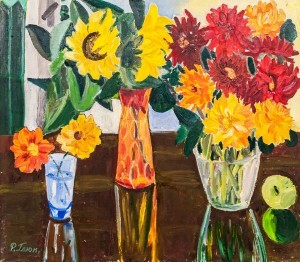 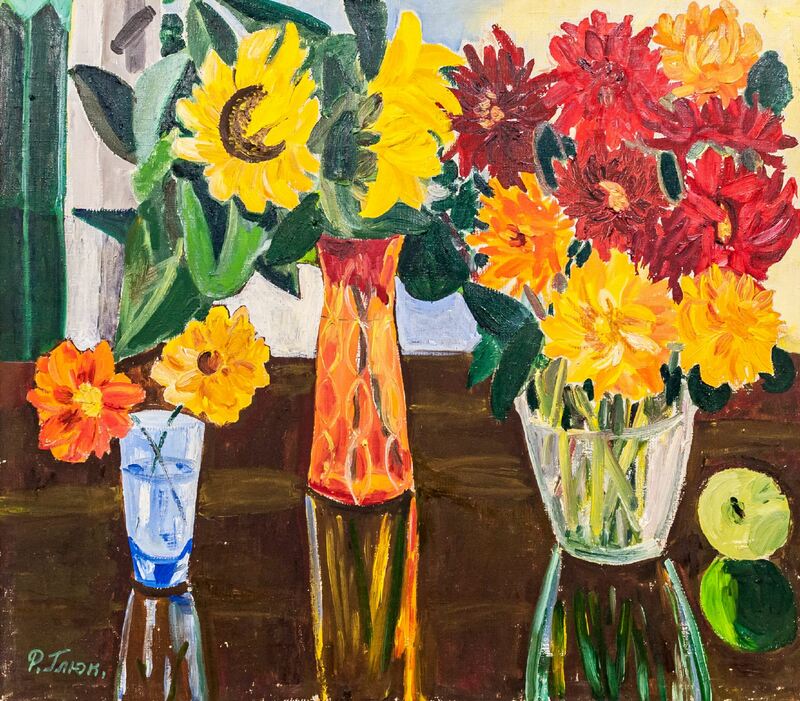 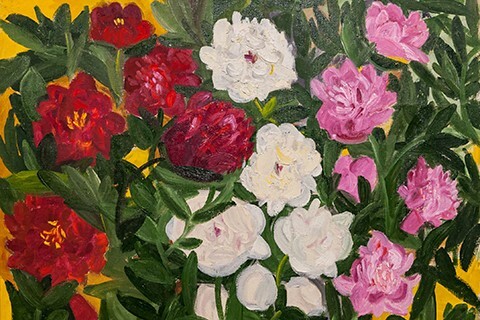 The exhibition of the artist’s works in Transcarpathia is presented not for the first time – last autumn it was exhibited in the galleries of Tiachev and Khust, in January 2018 – in the gallery "Impasto" in Vinohradiv. 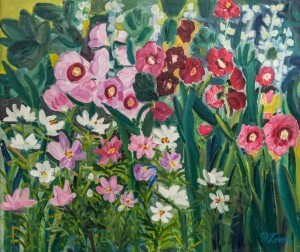 In Uzhhorod, where the Gluck family lived for many years, the works of Raisa Gluck were demonstrated for the first time. By the way, Raisa never had personal exhibitions during her lifetime – she participated only in collective expositions that were organized in the region and beyond it. All works are from the private collection of G. Gluck's family. 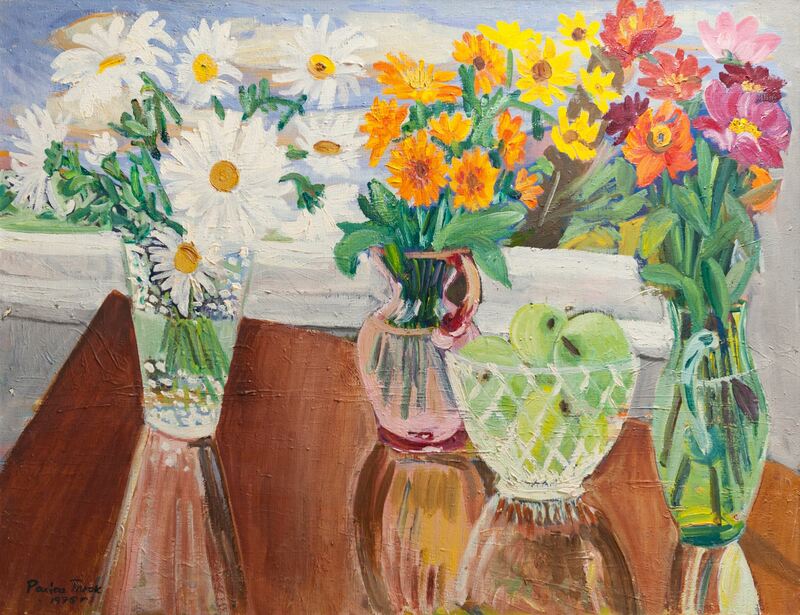 The exhibition will last in the Transcarpathian Museum of Folk Architecture and Life by the end of March.